Spirit has always been an integral part of Kristina's life; always connected to the mystery and the majesty, and the absolute compassionate power, of Spirit. Of Cherokee lineage, Kristina was raised far from the way of the people – in the middle of the distressed heart of Denver, Colorado. The only connection to that heritage were the stories passed down from the grandmothers and the sisters, quietly shared on paint-peeling porches on breathless summer evenings – when even the trees seemed to sweep in low to listen, all hungry for the true. As is the case for many, Kristina (the youngest of seven) was beset at every angle and every door by poverty, alcoholism, ignorance, abuse, and racism – facing as much fury and danger at home as in the streets of an angry neighborhood. Seeking her way through the darkest stretches of freezing and melting pavement, decaying dusty brick, and cracking concrete, Kristina learned to rely on the dreams from the grandmothers and grandfathers. She learned to connect to the wisdom they shared, and to walk with strength when she wanted to run in fear. Often knowing what was to come long before it ever arrived – who, what, where, when, and sometimes, even why – she learned to see through to the veil of the illusion to the soul of the true way that is but a belief away. Always wanting to know more, Kristina hit the books early. Literally. Starting in elementary school, she went from book to book and shelf to shelf in the school libraries, seeking the light they sparked within the mind and the heart. Her teachers noticing her unquenchable thirst for more, she was given the top honor at Baker Middle School: The Trailblazer Award (given to one boy and one girl within each class). Adopted by many special teachers, Kristina thrived in the halls of public education. She learned that with an eye to all that’s higher, every one of us can achieve and succeed – and thrive. Her first ascent into writing, Kristina, at 13, entered the Denver Posts’ statewide Christmas Writing Contest. Following the passion and the knowing from the spirit, she wrote a story of a young girl seeking the true meaning of Christmas – visited by two angels, the girl found that it was not the church buildings, not the lights, not even the presents that defined this special time of year; it was the love at the center of all that truly gifted the one and all. She was delighted beyond words to win Third Prize – with her Christmas story, as well as her ambitions for a healing future for all, which she got to share with a reporter, published in the Post. From this, she learned that an amazingly grace-filled way to share healing, and inspire others, is through the word. The only thing that could keep Kristina from counting the days until she could get back to Colorado (even if she had to walk, which she actually considered – thinking it would be a grand adventure), was the message her 11th grade teacher gave her one day after school: the teacher had nominated Kristina for a program that sponsored 30 students from around the nation to attend the University of Southern California in Los Angeles for the Freshman year. In spite of working 30 hours a week at Wendy’s (Kristina had been working since she was 13; and was now working until 2:30 in the morning, just about every morning), Kristina refocused her sights. She’d never even come close to dreaming that she could go to college. With the tipping point being her First-Place win in another essay writing contest (open to all High School students in the San Diego area, on dreams coming true), she landed her spot in the Honor’s Program. At 16, she was walking the halls of USC. However, the smile that came from being the first in her family to go to college collapsed into a depth of knowing that this place of often (but not always) shallow riches was not for her. Taking her straight As, her seven outfits, and her four pairs of shoes, Kristina moved on to Humboldt State University in the heart of the ancient redwoods on the coast of Northern California. And, since it was time to up it a notch in her quest for true – she decided to become a Journalist. Picking Kristina and her things up (after a summer in Colorado), her dad drove her all the way up the coast, from one end of California to the other – barely saying 20 words the entire time (his deeply felt gesture of love being the drive up and the time within companionship). When he dropped her off at an apartment she’d rented by mail, in a town she’d never been to before, three miles from a University she’d only seen in a 10-minute clip advertising the California State University system, Kristina was plunged into a new world of amazement (at the ancient trees holding up the sky), panic (this school, where grades couldn’t be bought or sold, was much harder than USC), despair (it never stops raining in Northern California), and an ever-deepening passion for truth. More to see, more to do, more to know. Giving up her downtown writing job for a very high-paying job as a marketing assistant at a bank, she thought she had it made. So much money. So much anguish. Driving (yep, in between surgeries, she could drive) back and forth across Denver to Aurora, she had more than enough time to stare at those mountains in the distance – and to hear their call. She also couldn’t keep away the words and the dreams from the grandmothers and the grandfathers; the energy focusing her on even toward higher ground. But wasn’t this job, with all its prestige and possibilities and money, what she’d been wanting? Besides, how could she move to the mountains? How would she live? Where would she work? Spirit always has a way. When we’re listening. And Kristina was listening when her roommate came home one night (when Kristina was barely two months into her new job) and said she’d been offered a job at the Forest Service office in Dillon – the heart of Summit County – if she could find someone to move there with her (the rent was considerably higher in the mountains). Yep, you bet. Kristina made the move to Summit County – and promptly got a low-paying job at the Keystone Ski Area, then a slightly better-paying job at a Real Estate Office, and then a comfortable job working for the Town of Frisco. The jobs weren’t what was important – it was the exploration of the majesty of the mountains: hiking and exploring and breathing in every stream, lake, meadow, peak, flower, and tree – learning the ways of the wild; learning the steps of the Way. Yes, she was poor in salary, but beyond amazingly rich in the wonder that comes from learning the rhythms of the land and the seasons and the winds and the lightning, and the feeling of coming to intimately know the sights, the scents, and the sounds of life raw and wild. And the grandmothers and the grandfathers walked with her every step of the way. She deepened her abilities to hear, see, and know that which is beyond the veil. The dreams stepped up in intensity, and the “knowing” was working its way throughout mind, body, spirit, and soul. With the passing of her father, and the intense work of healing her own inner wounds – and the deepening of the dreams that showed her a better way, Kristina decided it was time to honor the call of service to life. As often was her way, she opted – at first – for the culturally acceptable path of higher education and enrolled at Regis University, beginning her life-long path of serving as a channel of healing. In 1996, Kristina obtained her Master’s Degree in Counseling Psychology from Regis and opened her own psychotherapy practice in Dillon. She soon discovered, however, that “traditional” talk therapy lacked the equipment and traveling tools necessary to reach the depths of truth that existed deep within mind and emotion, body and feeling, spirit and soul. The way of the people for tens of thousands of years; the way of the rivers and the oceans and the trees and animals; the way of true; the way of the elders, of the Bear, of the Wolf, and the teachers that are here with us now to help guide our path back to True. Kristina knew it was time to chart her path back to the core of the way. She began her training in the planet’s oldest healing arts – shamanism or that of “Medicine” men and women. Opting to learn the way of all tribes over the way of one, she chose to train with the Foundation of Shamanic Studies (FSS) because they have journeyed the world seeking only those “skills” that organically developed across the planet in numerous cultures (cultures and tribes and clans that had never interacted – yet held the same ways and beliefs; and “performed” the same healing work). In the traditional way, and thanks to many teachers (in the ancient way of "one-on-one" work), she became one with the healing, and learned many “medicine” or shamanic specialties, including spiritual healing, divination, dreamwork, soul retrieval, extractions, the power of ceremony, and – above all – the path of direct revelation. In addition to working with clients and students in the shamanic field, Kristina also deepened her “energy” healing work through “Tibetan” Reiki. (An ancient system, known by many names throughout the ages, of energy healing where “ascended” masters taught people in Lemuria, Egypt, the Andes, Machu Pichu, and other ancient ones around the world, and later to Buddha, Jesus, and Mohammed. They also taught Tschen Li in the late 1800s who, in turn, taught Dr. Usui, the founder of the Traditional Reiki lineage.) 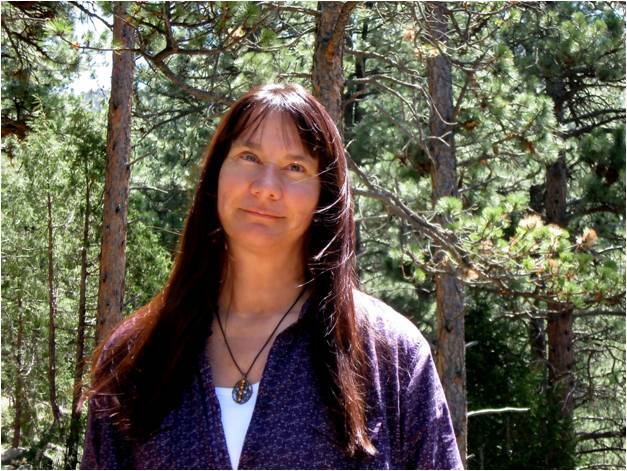 By 2004, she had become a Reiki Master/Teacher and moved her practice down to the beautiful and healing environment of Boulder, Colorado. During this intense time of learning, Kristina also trained with Caroline Myss in Archetypal Life Charting. [Archetypal energy patterns form the core of our being; to learn to “speak” in archetypes (are you a “Knight” or a “Warrior” or a “Healer” or a “Hermit”?) is to learn to speak the language of your soul.]. In addition, she honed her skills as a Medical Intuitive – knowing from childhood when others were “sick” in body, mind, or spirit. Having always had the ability to “see” and “know” dis-ease in others around her, she now learned how to work her way to the core/root of an issue and help clients release that which no longer serves their highest being on this planet at this time. Rounding out her skills in energy flow, Kristina also became a Certified Western Feng Shui Consultant – knowing that what we now call “Feng Shui” is deep within out DNA: the flow of energy, safety, healing, and harmony in our surroundings. No longer free to roam the forests and meadows and deserts of our planet, we are now encased in concrete and steel -- knowing instinctively that this is not the way; but fully able to enhance our spaces to be more "at home" in our new environments. Kristina trained at the West Coast Academy of Feng Shui, under the personal mentorship of Erica Sofrina (the Founder of the West and East Coast Academies of Feng Shui™, and author of Small Changes, Dynamic Results: Feng Shui for the Western World). Western Feng Shui (designed toward the energetic needs and desires of western cultures) is based on the Taoist (Tao means the way) vision and understanding of nature, particularly upon the idea that the land is alive and filled with chi (energy). Feng Shui incorporates interior and exterior design elements (such as lighting, color, placement of furniture, mirrors, plants, and landscaping) in order to maximize human potential and well-being. The aim of the practice of Feng Shui is to free up blockages of energy in order to allow possibility, to create harmony and bring balance between all complementary opposite forces -- especially the internal and external worlds. 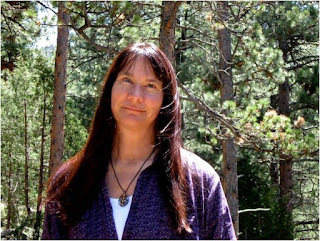 This encompassing energy learning gave Kristina the well-rounded (and well-learned) words to label that which she was already intuitively capable of doing – seeing the imbalance in the flow of energy and correcting it, with the combined tools of Reiki, Medical Intuitive Practices, and – most importantly – the ancient way (direct path) of core shamanic healing and knowing. Kristina is now primarily focusing her attention on Distance Healing. Over the years of conducting “energetic” healing work, she has found that she can contribute the greatest, and most immediate assistance and relief to people who are suffering debilitating and life-consuming impacts of physical, mental, emotional, and spiritual dis-harmony and dis-ease through remote healing connections and grace. She is also spending a great deal of her time, and effort, teaching others, one-on-one, the personal way of healing and knowing.Whether she’s training people in the path of direct revelation (the direct way to communicate with Spirit) for their own healing and growth, or those seeking the higher calling of becoming a “hollow bone” for healing others (the planet, the waters, the animals, the “all”), Kristina is dedicated to bringing harmony and balance back; or returning all to the “way” that is True. Kristina is here to serve as a channel of healing for you. All life is energy; all healing is love. When you're ready to heal, or to learn the Way, Kristina will be here for you. She's just an email away right now: spiritwaydistancehealing@gmail.com.